Welcome to day three of the Soulmate Christmas Anyhology week! 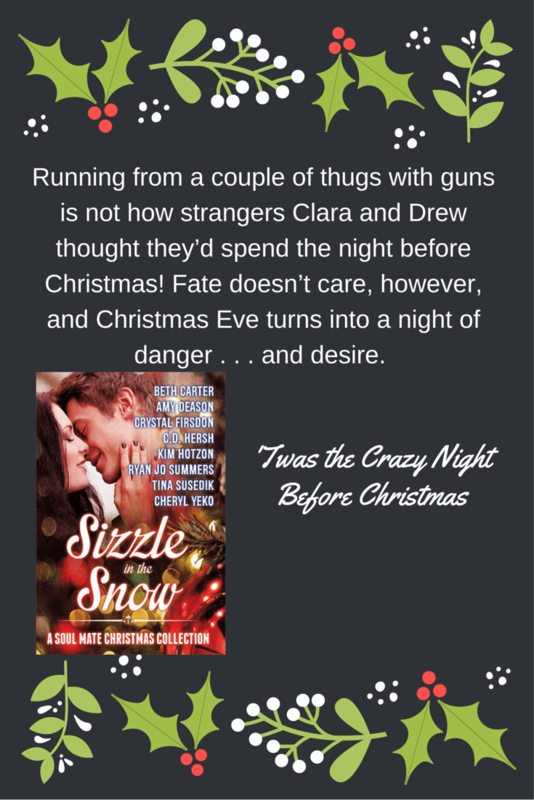 Today we highlight Crystal Firsdon’s story ‘Twas the Crazy Bight Before Christmas! I loved this story! Hark how the Thugs . . .
Clara lay flat on her back, dead silent. A rock dug into her shoulder and she fought the urge to wiggle out of the way. The dirt beneath her was dry and chilly while a small pool of sweat puddled between her breasts. The stranger she’d met only a half hour earlier lay directly on top of her, propped up on his elbows on either side of her head, covering her body head to toe in a protective shield. Her hands were pinned between their chests. No matter how hard she tried to still them, they trembled. Clara nodded. “What did you say your name was?” she whispered back. He’d never told her his name, just grabbed her from the store and ran like hell. “Shhh.” His breath in her ear sent shivers down the side of her neck and if they weren’t being chased by a couple of thugs with guns, she’d take time to enjoy the feeling. She inhaled a slow, deep breath but it forced their bodies tighter against each other, and dear God, she enjoyed it. Which made her an idiot. Maybe she should slide out from under him if the adrenaline rush affected her thoughts like that. Crystal is a former high school teacher turned stay-at-home mom—turned school volunteer (PTO president, baby!) turned substitute teacher. She’s going back go graduate school next month to renew her teaching certificate and join the teacher ranks again. She loves the romance genre, and can’t decide whether it’s better to read it or write it. With a long background in physical fitness, she includes exercise in all her heroines’ lives. Lately, she started taking Pilates classes. Her core is always sore. 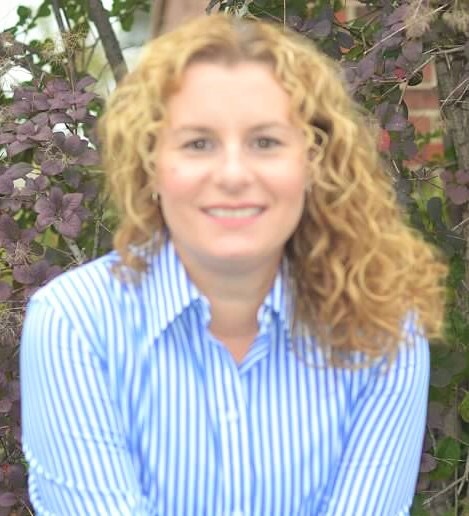 Crystal lives in Michigan with her husband and children where the weather makes it impossible for her naturally curly hair to behave most days. You’ll almost always catch her sporting a messy bun and several bobby pins. Her first book, Almost Wrecked, was published in 2014. The sequel, Almost Ordinary is set to be released in February 2016. Check out Almost Wrecked here. Like Crystal’s facebook page here. Thanks for the feature, Angela! I loved writing ‘Twas the Crazy Night Before Christmas, and hope the readers love it too! !